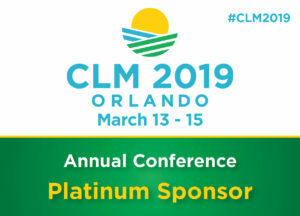 Partners from Winget, Spadafora, & Schwartzberg, LLP’s New York, New Jersey, and Connecticut offices are scheduled to speak at the CLM 2019 Annual Conference in Orlando. On March 14, 2019 at 10:10 AM EST during Session 1, Luigi Spadafora, Founding Partner and Managing Partner of the firm’s litigation group is speaking on a panel titled, “A Rabbi, Priest, and Iman Walk into a Bar – Alternative Judicial Forums for Resolution.” The session intends to address new insights and issues that arise while pursuing dispute resolution through alternative forums. Concurrently, Dianna D. McCarthy, the firm’s Data Privacy & Cybersecurity Practice Leader is speaking on a panel titled, “Artificial Intelligence – Real Risks and Coverage Implications of Things Previously Reserved for Sci Fi Movies.” The session addresses potential risks and kinds of coverage that may be implicated from an insurance industry perspective related to the use of artificial intelligence. During Session 3 at 2:00 PM EST, Jody N. Cappello, Stamford, CT partner is speaking on a panel titled, “Staying Ahead of the Class – Strategies for Defending Management and Professional Liability Class Actions.” The session addresses emerging trends in class action litigation involving professionals and directors and officers. The CLM Annual Conference is the premier annual event for professionals in the claims and litigation management industries. Winget, Spadafora & Schwartzberg, LLP is proud to sponsor and participate in this top industry event.